Steve Phillips on board the industry-drilling platform (Helix Q4000). From 2-May-2017 to 22-May-2017, the UT-GOM2-1 Hydrate Pressure Coring Expedition drilled two wells in Green Canyon Block 955 (GC 955) in the deepwater Gulf of Mexico: Hole GC 955 H002 (H002) and Hole GC 955 H005 (H005). 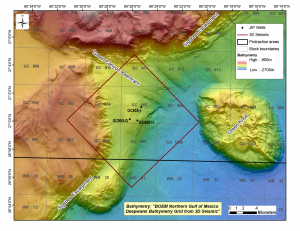 21 10 ft (3.05 m) pressure cores were attempted in and near the methane hydrate reservoir. In the first hole, H002, 1 of the 8 cores were recovered under pressure and there was 34% recovery of sediment (both pressurized and depressurized). 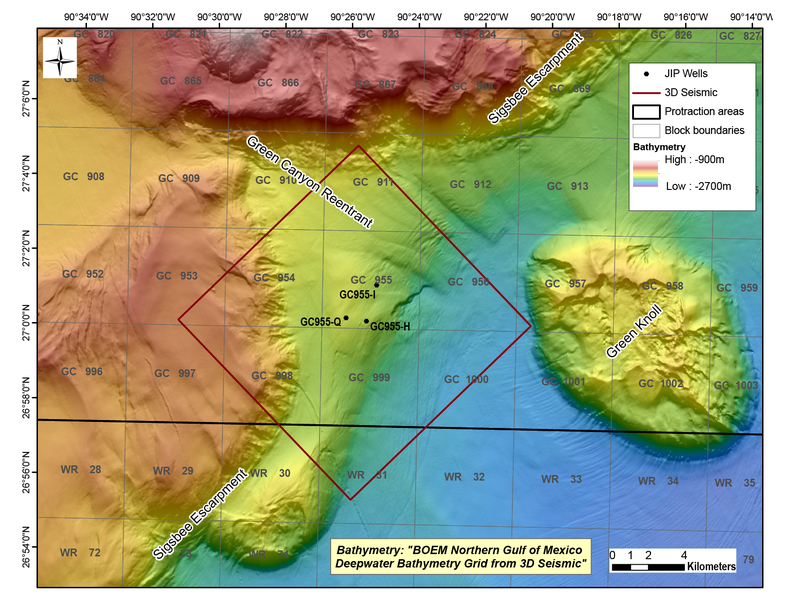 In the second hole, H005, 12 of the 13 cores were recovered under pressure and there was 72% recovery of sediment. The pressure cores were imaged and logged under pressure. Samples were quantitatively degassed either on-board or on-shore to determine the hydrate concentration and the gas composition. Pore water analyses were performed on depressurized samples, and sediment samples were collected to enable characterization of the microbial community. 21 3.3 ft (1 m) vessels containing pressure core sections were returned to the University of Texas for storage, distribution, and further analysis. These cores will provide a foundation for scientific exploration by the greater hydrate research community. To see pictures and updates from the team during the expedition, check out the blog and photo gallery.